Having fun with food never hurt nobody! 1. Divide your normal vanilla cupcake mix into three and color them with different food coloring. 2. Spoon the different colors carefully into the cupcake cups and swirl. 3. Bake at 180 degrees Celsius ( as you would normal vanilla cupcakes) for about 20- 25 mins. 4. 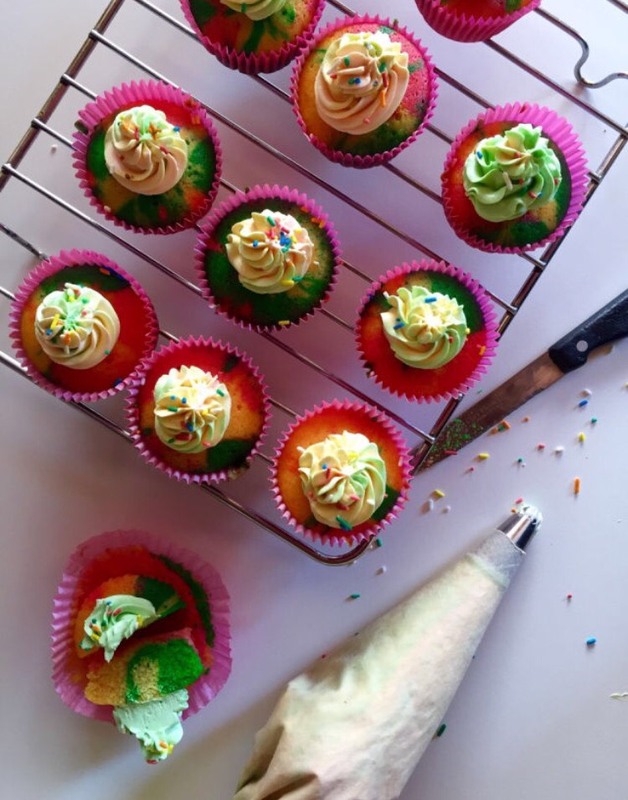 Once cooled, ice you cupcakes, again… go crazy here, use your preferred icing and you may go crazy with the colors or just stick to one color.